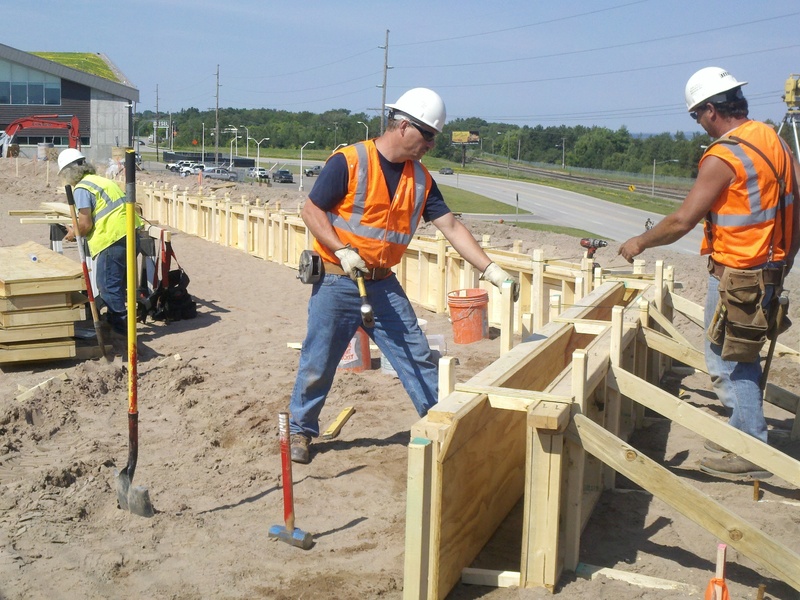 Sault Ste Marie Design Build Contract to add a queue lane to Interstate 75 between the international bridge and US customs. 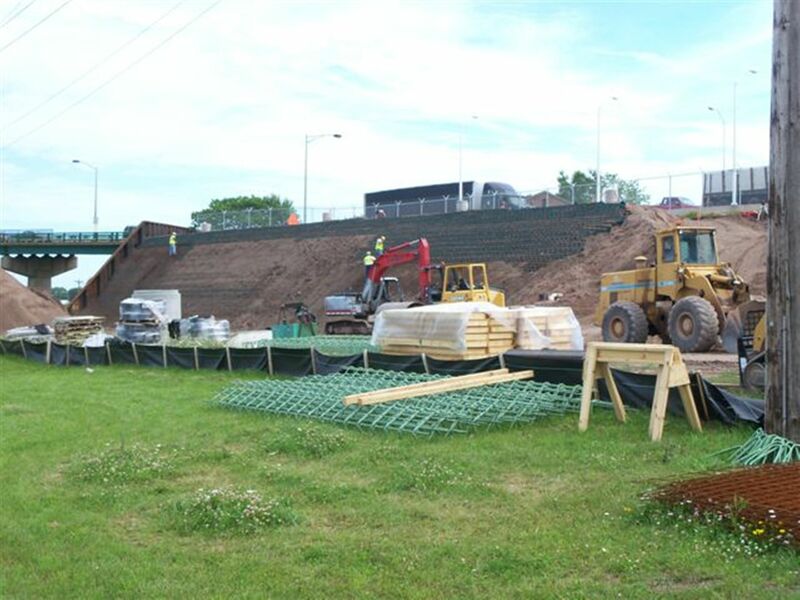 This project included designing and constructing a retaining wall, concrete sidewalk, wall, and curb and asphalt paving to add a lane to Interstate 75 between the international bridge and US customs. 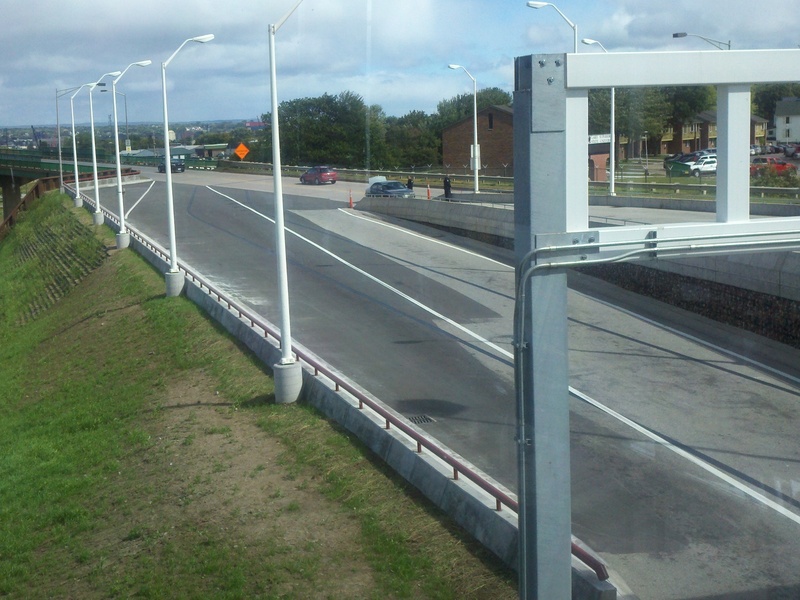 This work is being completed in anticipation of the added traffic lanes to the international bridge. 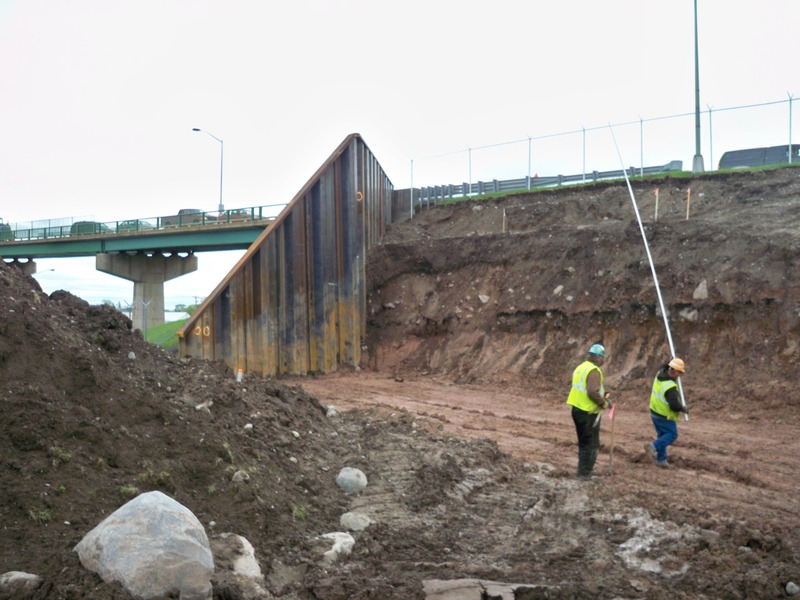 Some of the challenges with this project were dealing with the multiple governmental agencies which included the General Services Administration, the US Army Corps of Engineers, US Customs and Border Patrol, International Bridge Authority, and the Michigan Department of Transportation. 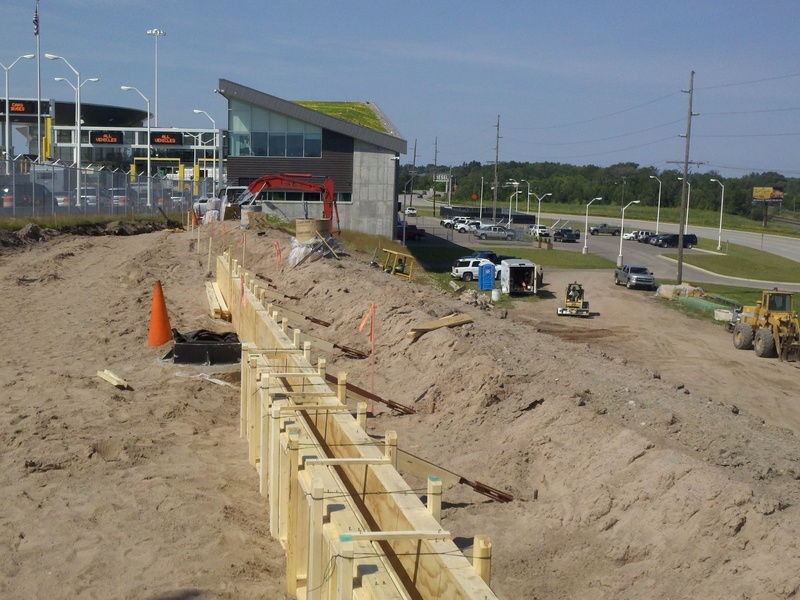 We were able to utilize a cellular soil confinement retaining wall system to save costs over a traditional sheet pile wall. All work was required to be completed without ever shutting down a single lane of traffic or customs booth.